The first edition of the Rolex Day-Date was released back in 1956. 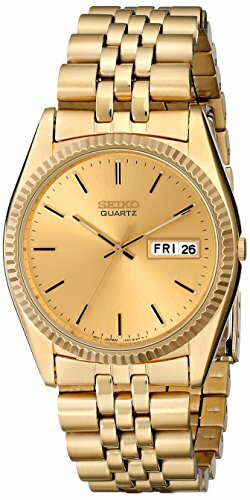 Its most prominent feature is the day window located on the 12 o’clock position, in addition to the magnified date window on the 3 o’clock position. It later got an update which earned the moniker ‘President’ because Rolex gifted the model to the former US President Dwight Eisenhower. Many celebrities love the simple but expensive look of the Day-Date models. Bruno Mars, for one, owns a Rolex Day-Date President. Brad Pitt also owns a platinum and a rose gold Day-Date. Russell Crowe, Sylvester Stallone, and Nicolas Cage are also some of the celebrities who own Day-Dates. Owning a Rolex may seem elusive but you can still wear alternative homage watches that give almost the same look and feel as that of the Day-Date. Here are the most popular alternative homage watches for the Rolex Day-Date. The models MTP-1381L-1AVDF, MTP-1381D-7AVDF, and MTP-1381L-7AVDF resemble the Day-Date the most with their minimalistic design and their day and date windows. Contrary to the Rolex Day-Date, the 41.7mm Enticer series don’t have fluted bezels and are available in different bracelet styles and dial colors. 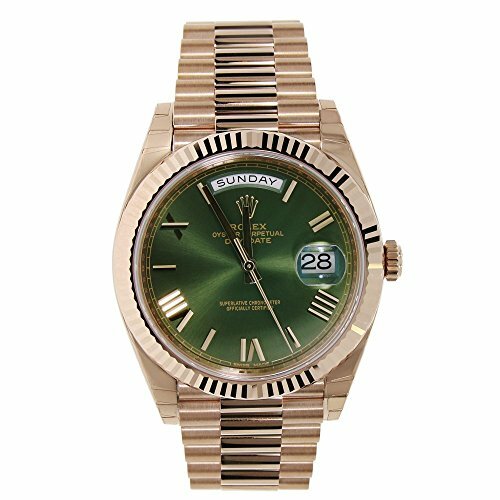 You’ll notice only slight differences between the Rolex Day-Date and this 39mm automatic homage watch from Alpha. The Alpha Day Date has a fluted bezel, day and date windows, and a President stainless steel bracelet. The 40mm watch from Peugeot has many similarities with the Day-Date. 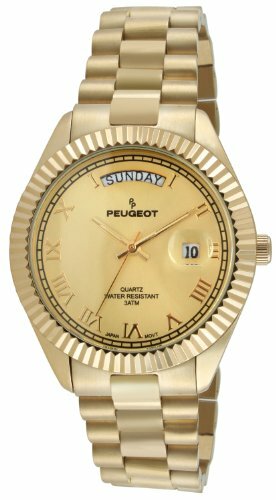 The 1029G and 1029S models from this collection have a fluted bezel, a day window on the 12 o’clock position, a magnified date window on the 3 o’clock position, and the gold and silver colors of the timepieces. The biggest differences are the Roman numeral hour markers and the Japanese quartz movement that these models feature. 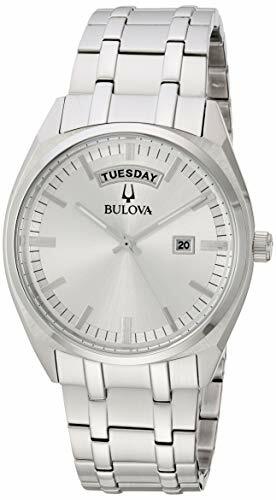 The 39mm battery-powered model from Bulova features day and date windows similar to that of the Rolex Day-Date. However, it lets go of the fluted bezel found on the Rolex, making it look more like an alternative timepiece over a Day-Date homage. The 35.5mm SGF206 slightly differs from the Rolex Day-Date with its day and date displays located at the 3 o’clock position. The timepiece features a fluted bezel similar to the Day-Date, a Jubilee style bracelet, a Hardlex dial window, and Japanese quartz movement. It also has LumiBrite markers and hands. 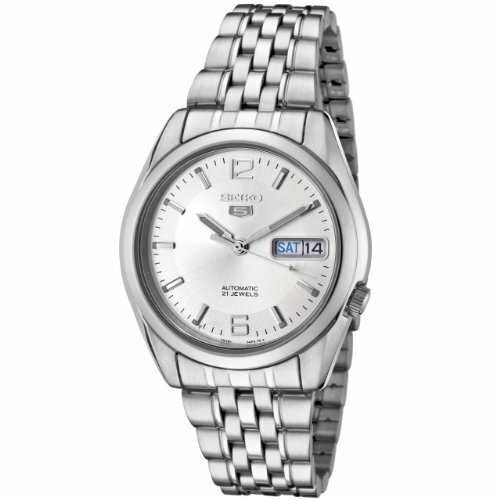 The Seiko 5 is a 37mm self-winding, automatic watch that features a day and date window on the 3 o’clock position. It has a fluted bezel similar to that of the Rolex Day-Date, a Jubilee style stainless steel band, Hardlex crystal, and Japanese movement. 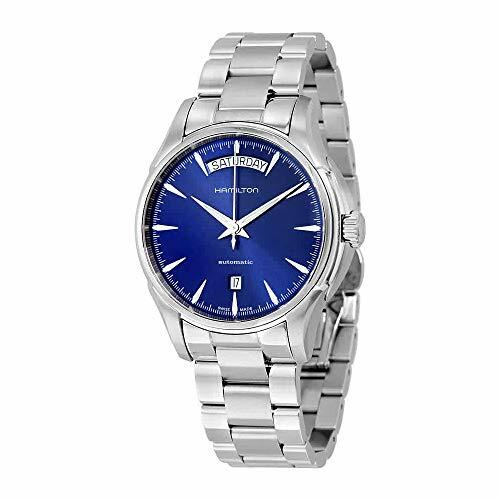 The 36mm automatic watch from Orient looks extremely similar to the Day-Date. It has the same fluted bezel, day and date windows, metal band, and fold-over clasp. 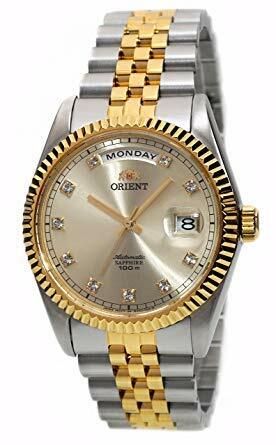 The Orient President is also available in a variety of dial colors but the most popular ones are black, silver, and gold. The 40mm automatic watch from Hamilton features a day window on the 12 o’clock position and a date window on the opposite end. It doesn’t have a fluted bezel like the Rolex Day-Date but it gives the same no-nonsense look with its minimalistic design. 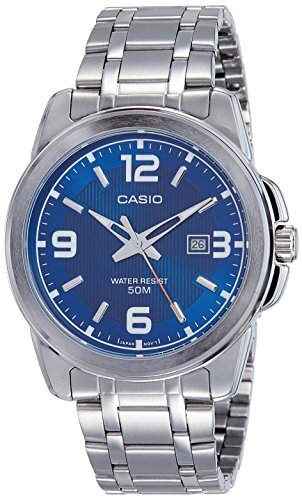 It has a sapphire crystal, a modern-looking stainless steel strap (leather strap variant available), and a skeleton case back. The 42mm WJF2010.BA0592 model from Tag Heuer’s Link collection is a classy alternative to the Day-Date. 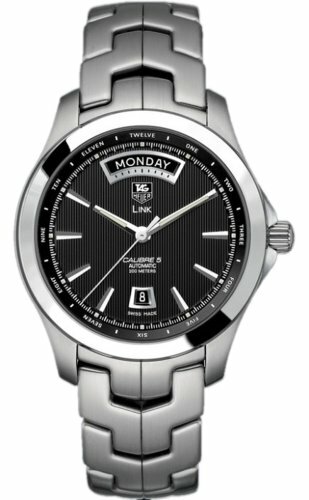 It features day and date displays, a plain bezel, sapphire crystal, a black dial, and the unique trademark bracelet design of Tag Heuer watches. It looks classy, elegant, and versatile to wear on any occasion. It’s also water-resistant up to 200m. The only problem with it is that its steel bezel can get scratched easily. Since this is not a homage watch, expect the price tag for this timepiece to be around $3,500. The iconic Rolex Day-Date is a symbol of exclusivity even among celebrities and people in power. The impeccable quality and minimalistic design of the series make it one of the most popular models in the Rolex collection. You don’t have to be a superstar to wear one, though. There are alternative homage watches that have almost the same characteristics of the Day-Date, all available for a fraction of its cost.